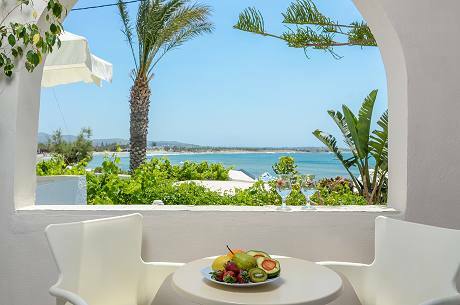 It consists from the accommodation building and a beach cafe that is the place you can spend hours relaxing, having a drink or a snack on the sandy beach and enjoy the magnificent beach. 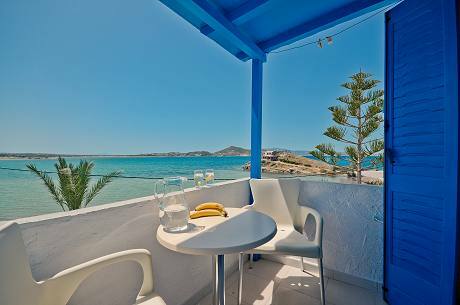 You will feel the joy of watching the magic blue of the sea or having romance and relax in the evening in the unique environment. 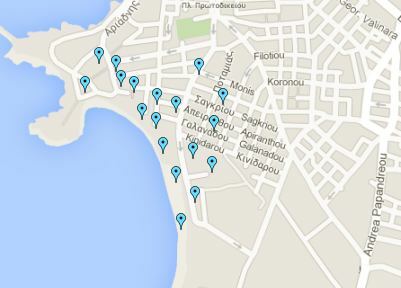 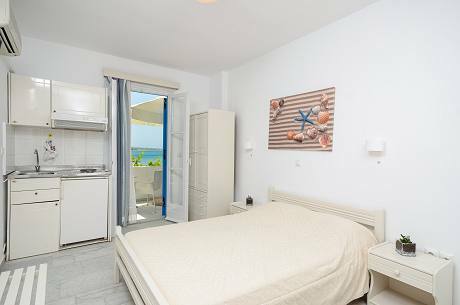 Studios Diogenis offers studios that they can accommodate from a single up to 4 persons family. 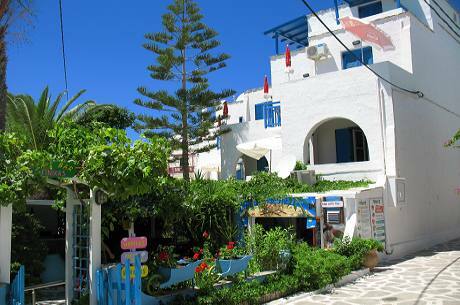 Its position, on the beach, makes Diogenis the ideal place for beach lovers, careless and memorable holidays. 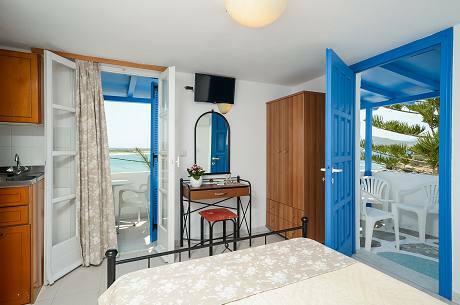 Room facilities and services: Free wi-fi internet access, air-conditioning, TV, kitchenette, refrigerator, bathroom, balcony, daily maid.